HEIRLOOM. Brilliant red seed heads dangle like shimmering ruby necklaces from the tops of sturdy, 3-5 ft. plants. With long-lasting color, they're great in arrangements, fresh-cut or dried. Amaranthus needs heat and a long season. Start in containers and set out 6-week plants after frost. The tiny seeds take 2 weeks to sprout. Sow seeds 18 inches apart and cover with fine soil. Sow thinly and evenly and cover with fine seed starting formula. Maintain at a temperature around 60 degrees Fahrenheit. Set plants 18 inches apart in the garden. Plant amaranthus along a fence or a wall as a colorful annual hedge. Massed plants can have a great impact. Amaranthus, Love Lies Bleeding is rated 4.4 out of 5 by 9. Rated 5 out of 5 by Danyell from Amazing These plants grew beautiful and huge! However, I used a whole package of seeds and planted them in various places. Some only grew a foot tall with little flowers. The huge, beautiful plants grew in full sun. The soil I assume is very rich as it is part of a giant half rotted tree stump. It seemed to take a lot of seeds to get what I wanted, but it was totally worth it! I do live in zone 5 and this year I will try to bring the plant inside for the winter. Rated 5 out of 5 by nhrra1 from Easy to grow I love this unusual plant. If you can get it to grow just leave it in the fall till frost then shake the seed heads or throw a few on the ground where you want them to grow. I always get a few to come up in the spring. I have tried inside but to no avail. They self sow pretty well. I have very cold winters with snow in zone 5. Rated 5 out of 5 by Stamen from Excellent early experience Tiny seeds but they all grew in Jiffy peat pots under standard UV light at six inches. Hope to update this summer. Rated 5 out of 5 by GodsGardeningGal from Gorgeous, Unique, Eyecatcher! I have grown this twice, first time direct sowed in garden and the plants were huge lush with gorgeous long dreadlock like blossoms! Second time I germinated indoors. Germination was close to 100%, with seedlings growing strong and well. Then lost 75% to damping off, I am assuming, as they wilted and died. I had to start all new plantings. According to packaging directions, Love Lies Bleeding does not transplant well and reccommend direct sowing. 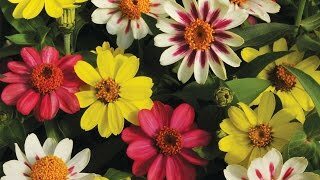 I took extra care will transplanting and they did very well once in garden, but they have not grown tall, only about 1 foot tall with proportionate blooms. Next year I will direct sow again immediately after last frost date so I will have the tall, gorgeous plants I had before. They are a must have for my garden! Rated 4 out of 5 by chandra from Amarathus caudatus Question is "Is it a flower or vegitable" In India where I come from, it is used as a vegitable. But I want to make sure that I am talking about the same plant. It looks like the one I knew and if I can get a bigger picture I can be sure. Many Indians are interested in this as vegitable. Please calrify. Rated 5 out of 5 by CHARMDIANE from LOVE LIES BLEEDING THIS IS A FLOWER I HAD IN THE MIDWEST. PRESENTLY IN THE PACIFIC NW NO ONE UNDERSTOOD WHERE THIS PLANT/SEEDS WERE TO BE FOUND. THANK YOU BURPEE FOR HAVING THESE AVAILABLE. I NEVER REPLANTED AS IT SEEDED ITSELF FROM YEAR TO YEAR. IT ALSO GREW ABOUT 4-5' TALL. PEOPLE WERE ABSOLUTELY AMAZED BY THIS PLANT.